Forest certification is a voluntary tool used to demonstrate sustainable and social responsibility. The main component of forest certification includes the evaluation of forest management practices that meet provincial, national and international standards that reflect modern sustainability concepts. The evaluation is completed by an independent third party audit conducted by a qualified certification body. Auditors evaluate performance by conducting on-site visits to check active operations, discussing management principles with staff and interviewing stakeholders. Performance based approach certification systems include standards such as Forest Stewardship Council (FSC) and Sustainable Forestry Initiatives (SFI). All of the former Bowater Mersey Paper Company Woodlands (now Crown Land) is certified to the SFIS 2015-2019 Forest Management Standard. 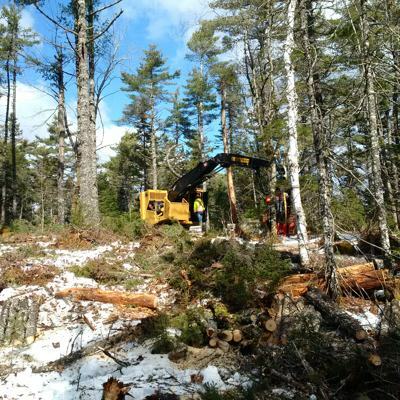 Below are the South Shore Rossignol/St Margaret’s Bay/North Mountain Strategic Forest Management Plan, the Medway District Strategic Forest Management Plan and the Medway District High Conservation Value Report. If you have any questions please contact jillian.weldon-genge@novascotia.ca.